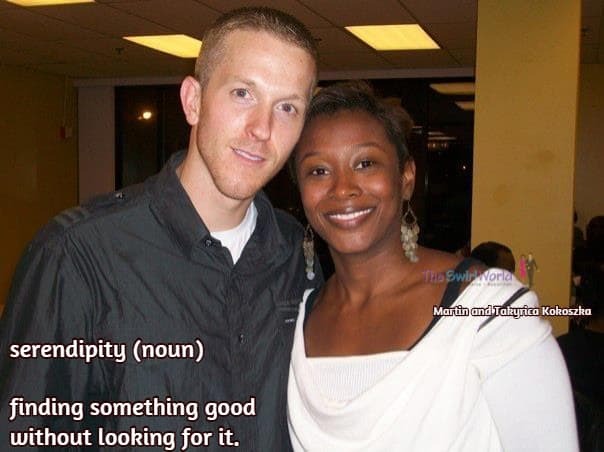 TheSwirlWorld JeffSt Well, the serendipity is the pre-beginning, it takes work to start the relationship once you meet. Numerous instances in my life, in fact just about everything good has happened when i wasn’t looking for it. But one exception is relationships. One doesn’t just happen, you have to work for it. My luck in that regard hasn’t been great, but letting things just happen in this regard seems to have ensured that nothing happens.